Q. How long can I take out a book? Students, staff, and faculty can take out a book or audio book for 90 days. New books and audio books can be taken out for 14 days. 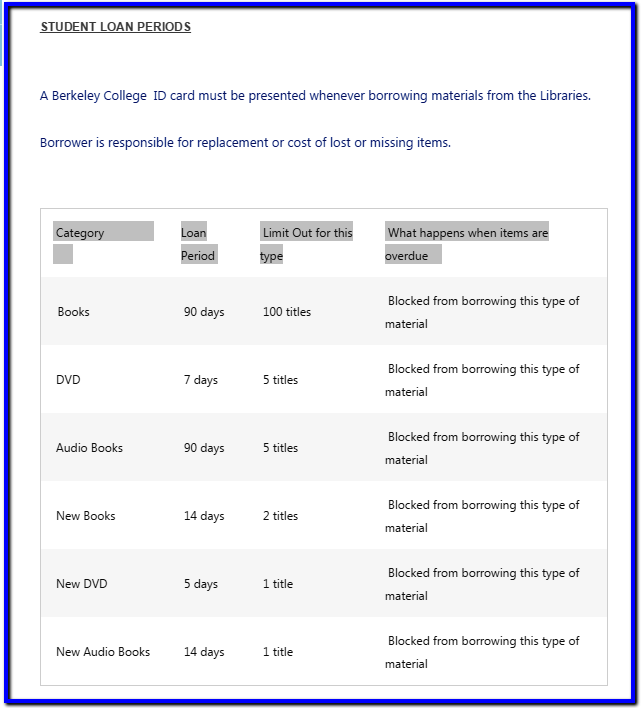 A Berkeley College ID card must be presented whenever borrowing materials from the Libraries. Borrower is responsible for replacement or cost of lost or missing items.